The POND has Moved! 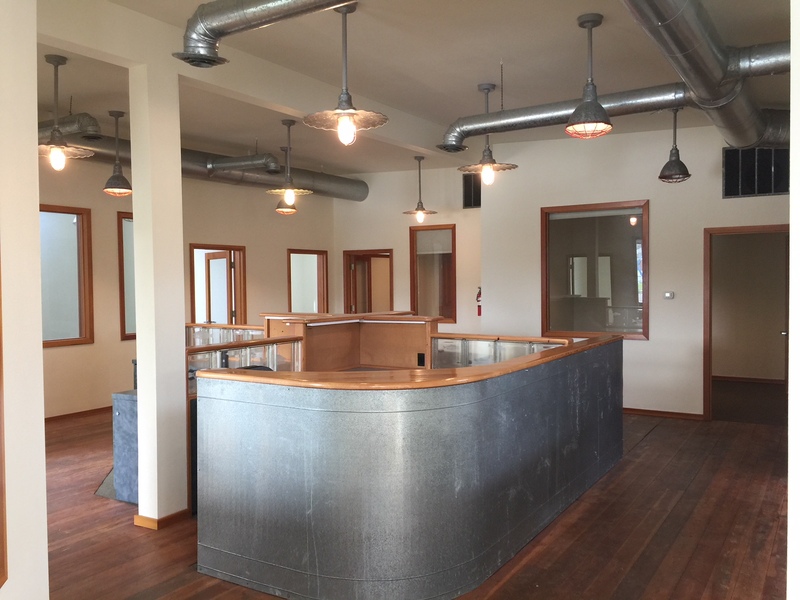 Come see our new office on the Bellingham waterfront- 1010 C Street. 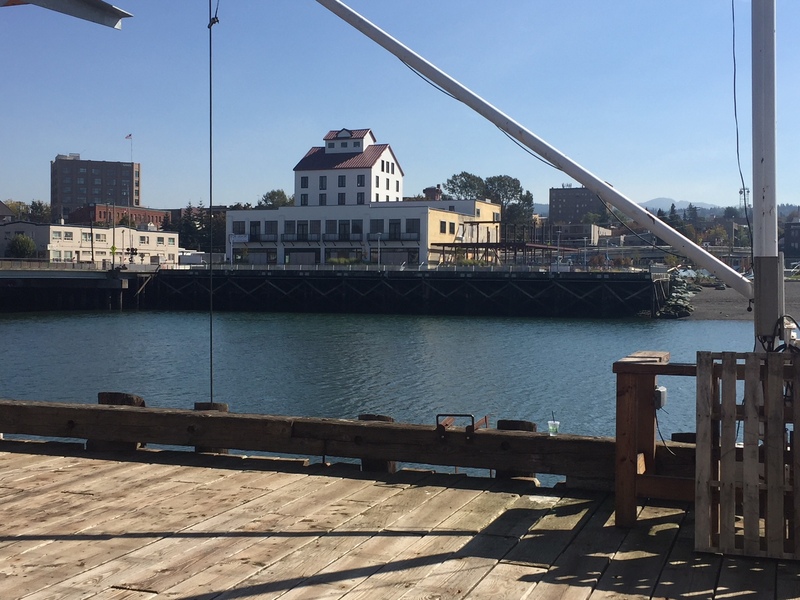 Dockside Coworking is Bellingham's refreshing coworking community overlooking the Whatcom Waterway with month to month membership for your startup, remote office or independent workspace needs. 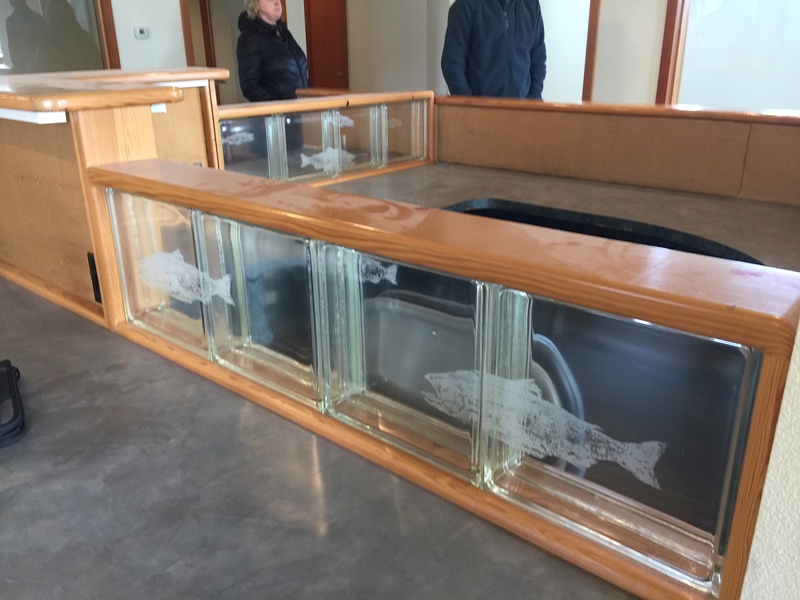 Watch the harbor seals and boats go by right from the windows, or hang out on the dock! High speed WIFI, color printing, 24/7 access and janitorial included, as well as free coffee, parking and a bike rack. 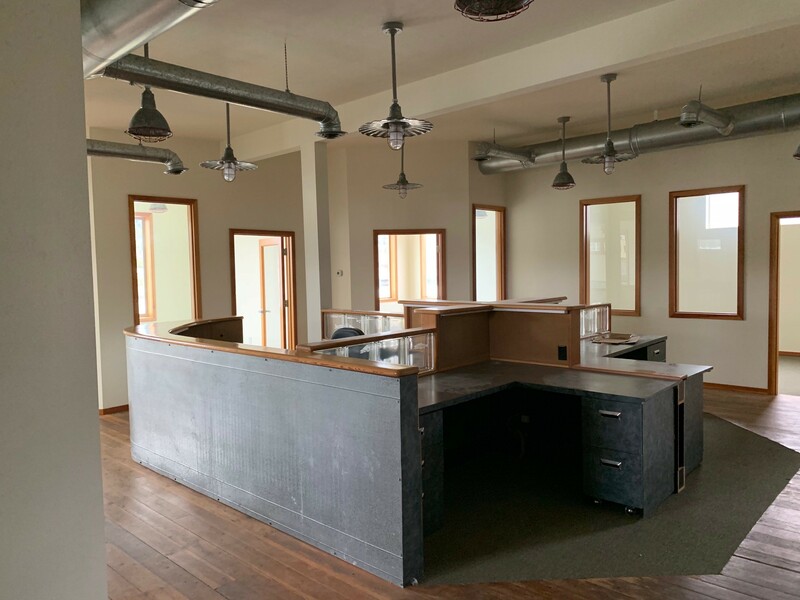 Share all the common space amenities - including front desk reception (for your visitors, mail or packages), kitchen, bathrooms, and private meeting room monitor. Lots of natural light and fresh sea air. One flight of stairs. Work alongside and collaborate with other small business owners and design professionals. 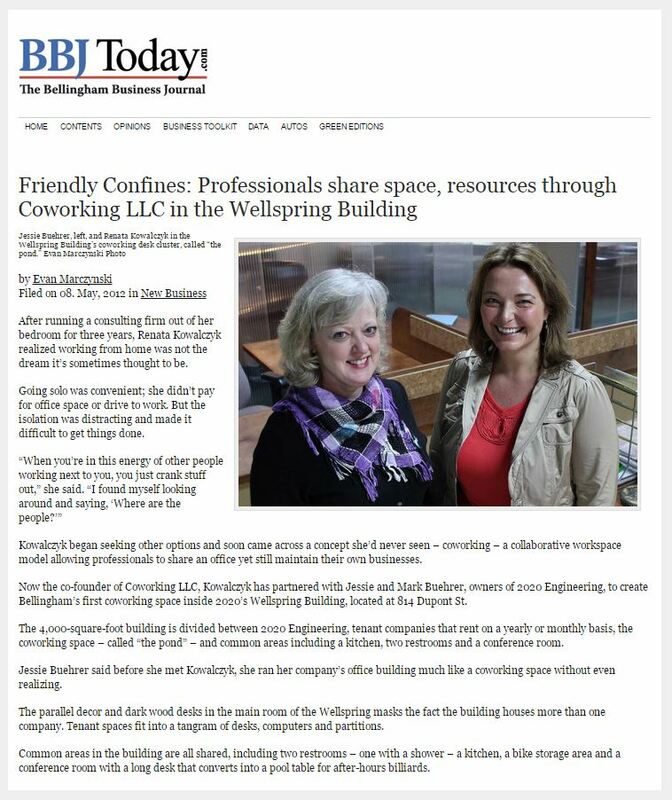 Mellow, friendly office mates; enjoy occasional celebrations and networking events. Just bring your favorite computer and chair and start working! Pet friendly environment, well behaved dogs welcome! 24-7 access with personal key fob. Always someone to receive your guests, packages or mail. Efficient Xerox LED printing, scanning and copying, full color up to 11X17. Free parking nearby or on surrounding streets. Free coffee, filtered water, large refrigerator, microwave and dish washer. The non-toxic janitorial, natural lighting and fresh air provide a healthy work environment. These are just the highlights, see the full list of features and amenities. What professionals love about working in our community. "As a designer, it's essential that my office space have a fixed setup, not one I have to re-establish every workday. I enjoy the respectful and fun camaraderie I have with my co-coworkers. (Some have even become clients!) The eco-friendly building features and 24/7 access can't be beat. Highly recommended!" "I have had a great time here, you run a fun and professional operation, somehow, at the same time." "You provide a wonderful environment, and even though I'm on the quieter side, I really enjoyed the atmosphere of having people around. Your space benefits are also great." Membership includes a your desk plus many healthy and unique amenities. For a full list of benefits, visit this page. There are currently 0 desks available for monthly membership. Please check back for updated availability. Daily or weekly membership is not offered at this time. We are open weekdays from 8:30am to 5:30pm. No spaces are currently available. If you would like to be contacted when a spot opens up, please add your name to the waitlist above. Hosted by: 2020 ENGINEERING, Inc.